Sudden, irregular motion, repetitive stress or excessive load on the ligaments associated with the back can cause a sprain, or tearing of the ligaments. The resulting injury, which affects athletes in a broad variety of sports, produces pain and varying degrees of immobility. Ligaments are resilient bands made up of firbous tissue. They provide strong, flexible linkages between bones. A number of ligaments support the spine. The anterior and posterior longitudinal ligaments connect the vertebral bodies in the cervical, thoracic, and lumbar regions. The supraspinous processes, and is enlarged in the cervical region, where it is known as the ligamentum nuchae. The ligamenta flava attach to, and extend between the ventral portions of the laminae of two adjacent vertebrae, from C2/C3 to L5/S1. The ligaments, muscles, and tendons work together to manage external forces to the spine during movement, particularly, bending motions and lifting. Lifting beyond normal capacity. Sudden torsion of the spine, including a fall during skiing or other sport. Unprepared movement involving the back. A sprain to the ligaments will generally force the athlete to rest the injury and allow healing time due to pain and stiffness precluding normal activity. Should activity be continued before adequate healing, further tearing of the ligaments and lasting ligament injury may result. A mild ligament sprain can become acutely painful and incapacitating if ignored. In the case of mild to moderate ligament sprain, a few days rest should allow a return to most non-athletic daily activity. This should be undertaken re-establish flexibility in the spine and avoid atrophy. Strengthening exercises for the back should not be undertaken until full recovery. Warm-ups and stretching prior to sports, proper posture and attention to proper technique can help avoid this injury. Less than 5% of back injuries require surgery, and surgery is rarely warranted for ligament sprain, although 6-8 weeks of recovery are often required, sometimes longer, should the sprain be serious. Failure to allow complete healing will increase the risk of re-injury. 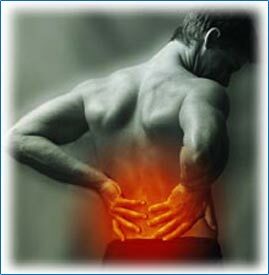 Call (+65) 64712 674 (24 Hour) to fix an appointment to see our doctor regarding Back Sprain today.